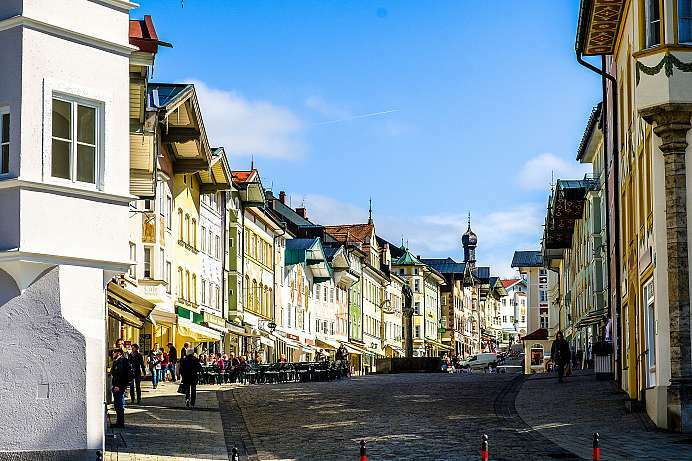 This tour explores the most southern parts of Germany while also crisscrossing the borders with Austria and Switzerland. 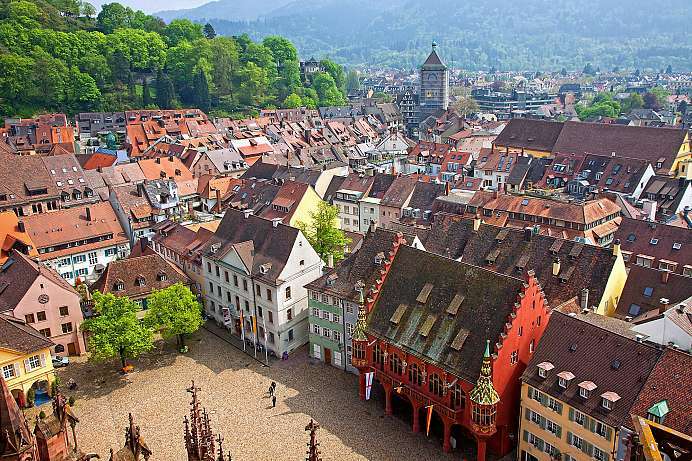 After visiting Freiburg, the gate to the Black Forest, go north and visit the romantic town of Heidelberg. 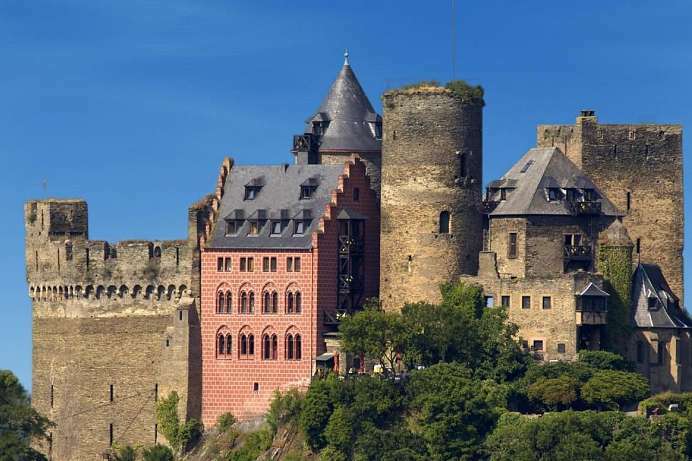 Your last stop is the Rhine Valley where you will be staying in a castle that has accommodated a number of German emperors well over 1000 years ago. 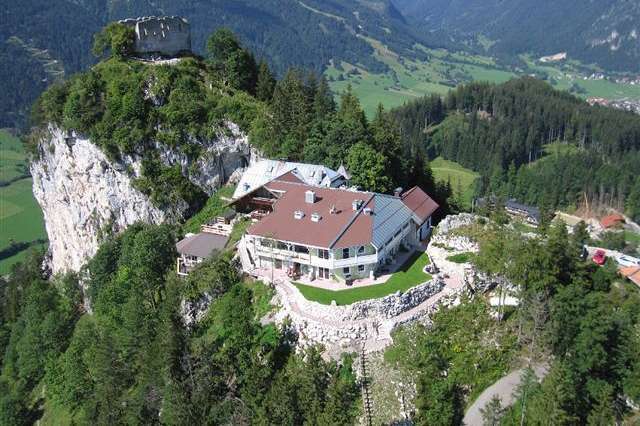 The historic villa was built in 1863 by an Italian master builder and from 1923 to 1938 was the residence of the world-famous von Trapp family, whose life underlies the musical “The Sound of Music”. 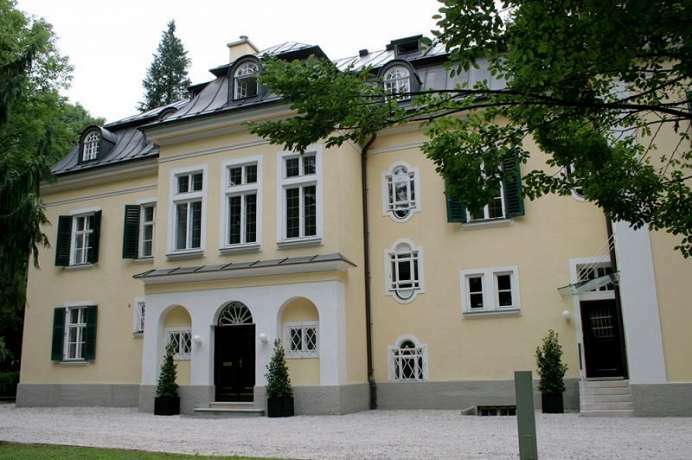 The property is situated in the middle of a picturesque park near the historical centre of Salzburg. Since 2008 the hotel has been restored to its former glory and is open to the public for the first time as a hotel. Numerous photos recall the former inhabitants of the villa, creating a family charm. The former bedrooms are now stylish and individually furnished guest rooms. In the dining room you start the day with a rich breakfast, which you can finish later with a glass of wine on the large terrace or in the cosy salon. The old double eagle coat of arms of the Astro-Hungarian Empire still hangs above the entrance to the historical guesthouse. 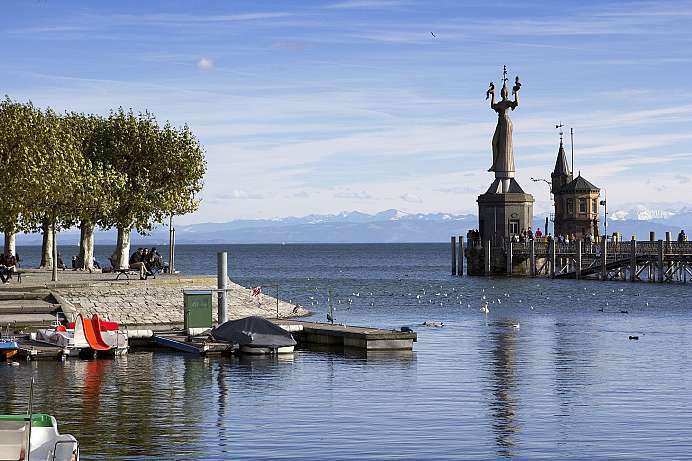 In the 15th century the stalls of Emperor Maximilian I (known as the Knightstood on the site. The stalls were replaced by a patrician villa in the 17th century that has now served as an inn for nearly 500 years. Since its recent restoration the hotel has been awarded a 4-star rating. No two rooms in the building are alike, and most are decorated in accordance with a specific theme, such as the Sissi Room named after the Austrian Princess or the Castle Room. The area of the building that contains the hotel restaurant was once part of a neighbouring monastery. 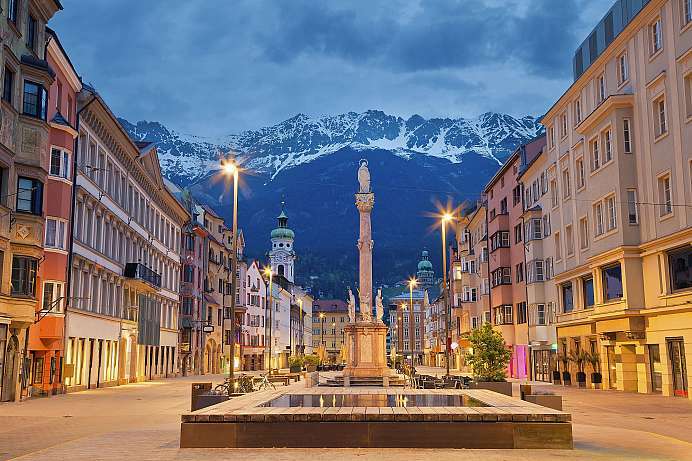 The restaurant, one of the best in Innsbruck, also has a proud, 500-year tradition. 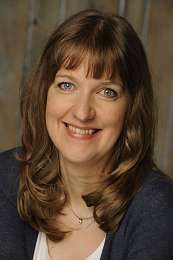 A wellness and massage centre is also available to guests. 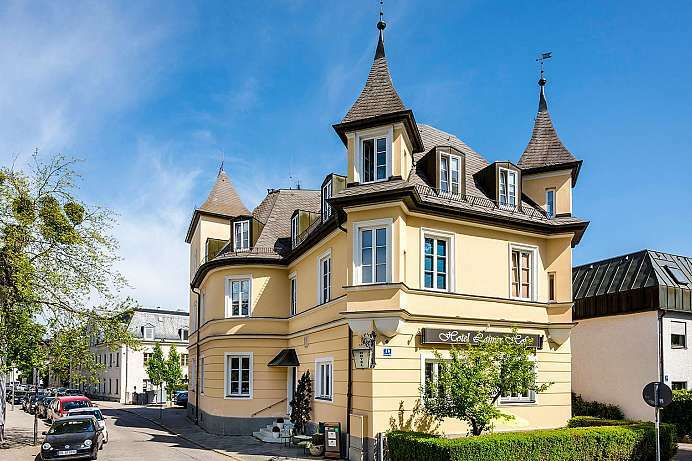 The 300-year-old hotel stands in a suburb of Konstanz on the Swiss side of the border. The owners have happily succeeded in modernizing the building inside and out without sacrificing its historical charm. One of the primary goals during renovation was to avoid the cookie-cutter rooms that make most modern hotels so boring. As a result, each of the 25 rooms was designed separately and dedicated to a famous European monarch. In addition to the highly regarded gourmet restaurant with three distinct dining rooms, a cosy lounge with deep leather chairs, an open fireplace and lake views provides a welcome place to relax. In the evening a romantic candle-light dinner can be enjoyed on the hotel terrace overlooking the lake. 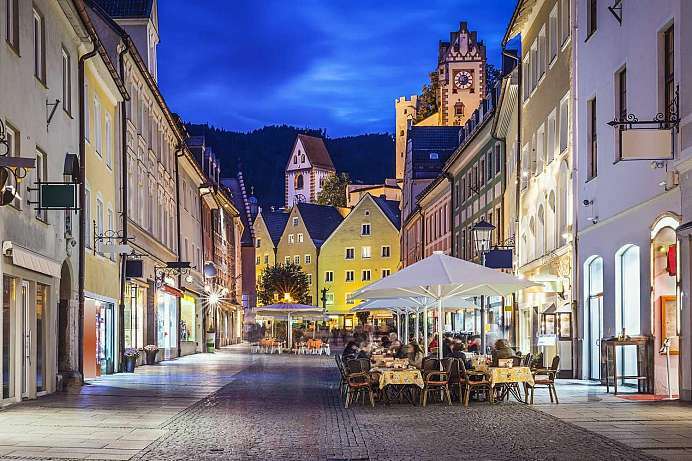 The hotel is actually located in two buildings: one on the Münsterplatz in the shadow of Freiburg's impressive cathedral, the other just a short walk away along cobblestoned streets. The Weinstuben serves a very satisfying lunch or dinner in a congenial, cozy atmosphere. Beamed ceilings, wooden tables, white linen, and contented chatter set the mood for the charming restaurant. 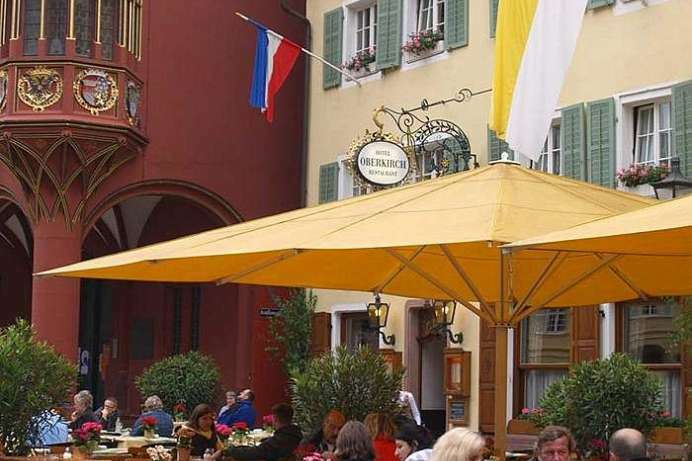 It is a popular place to dine in the marvelous medieval town of Freiburg. 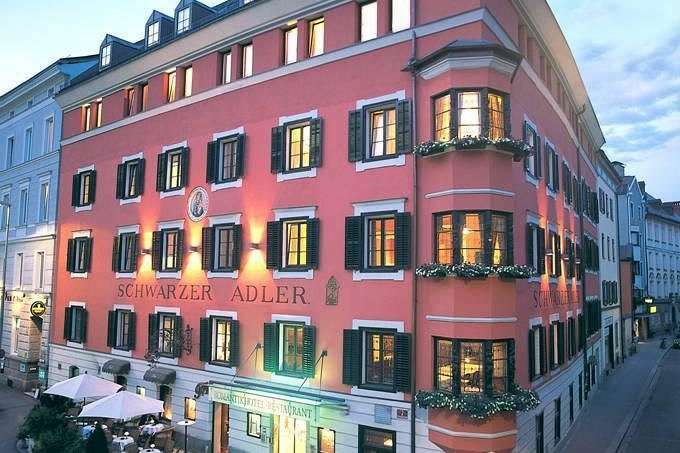 In addition to the restaurant, there are 26 guestrooms, found either directly above the Weinstube or in the neighboring building. All have been refurbished and are very attractive. After admiring the view guests can begin to admire their temporary home away from home: every room and every piece of furniture in it were exclusively designed by a Florentine architect with an eye to balance and harmony. All items of furniture were handmade by local craftsmen. While thoroughly modern, the interior decor was designed to recapture the late 18th century spirit of Romanticism, when Heidelberg was Germany's philosophical and literary centre. The noble simplicity of the 18th century building's white exterior gives the impression of a private residence rather than a hotel. 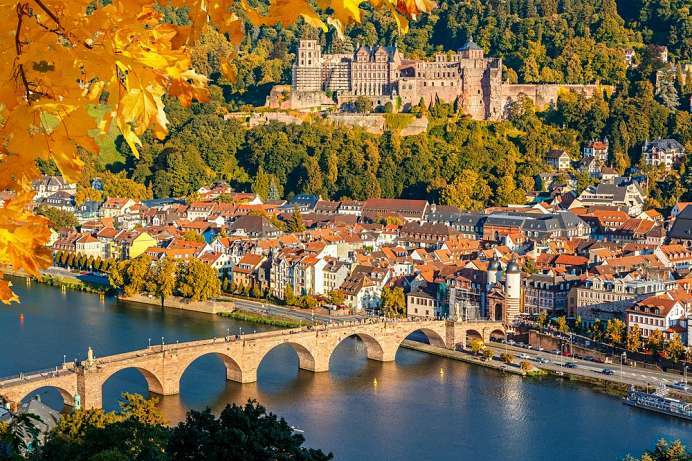 Downtown Heidelberg is just a few minutes' walk away across the famous Old Bridge. When the abbey was consecrated in 774, Emperor Charlemagne was personally present with his family and court. Later he raised the abbey to one of his most important imperial monasteries. Three buildings of the formerly large complex remain: a fragment of the Nazarius basilica, a section of the monastery wall and the famous Königshalle. When Lorsch Monastery was declared a World Heritage Site in 2014, the monastery areas were linked in terms of landscape architecture. An herbal garden was also created – according to the specifications of 1,200-year-old Lorsch pharmacopoeia. 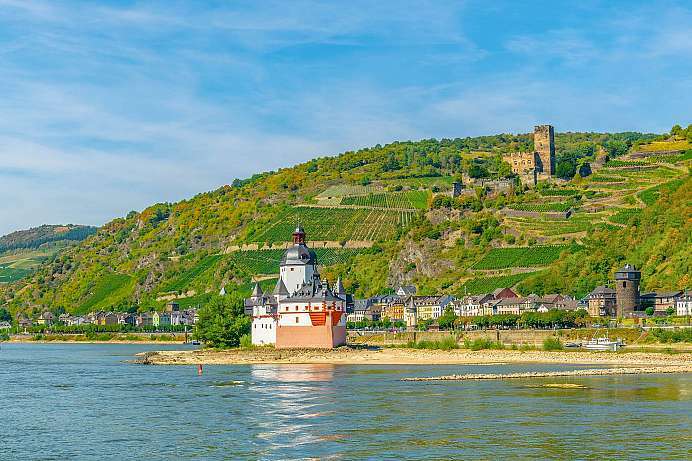 Today the modern, luxury hotel is owned once again by the town of Oberwesel and has been managed by the Hüttl family since 1957. 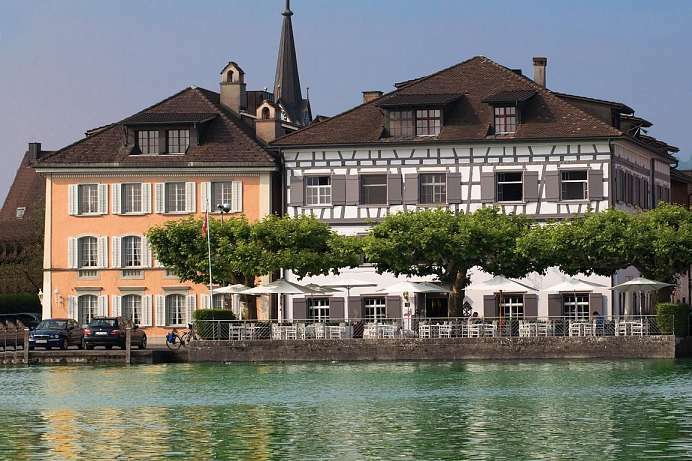 It offers 20 elegant, individually furnished rooms and two suites with four-poster beds and balconies facing the Rhine River. Guests can stroll through the surrounding forests, meadows and vineyards or just relax and enjoy the one-of-a-kind views. Since the Middle Ages Frankfurt has been one of the major urban centers of Germany. 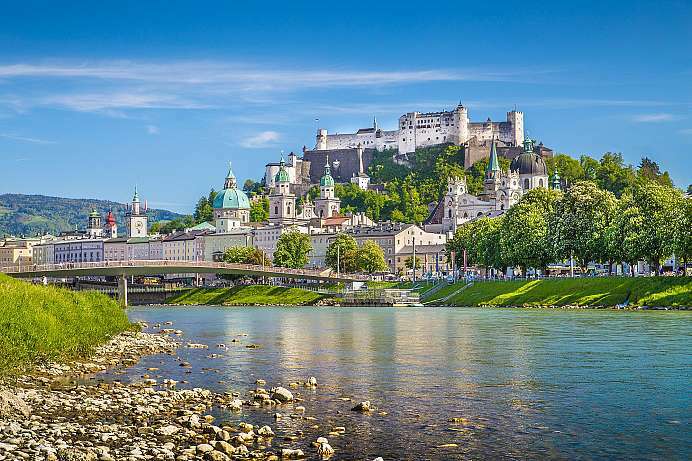 First documented in 794, it has been a free city since the High Middle Ages and later the coronation city of the Holy Roman Emperor. 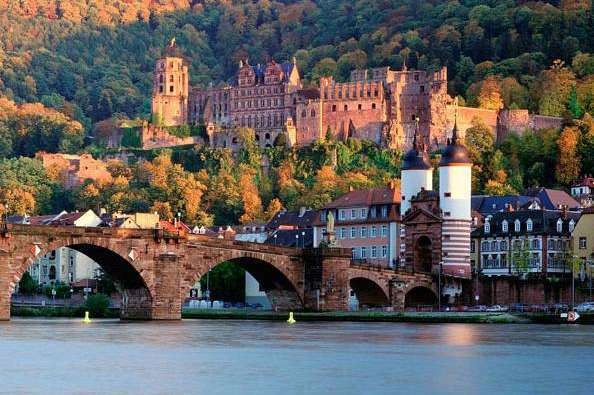 In 1816 Frankfurt became an independent town and in 1848 it was the birthplace of the German democracy, when the meeting of the German Confederation (Deutscher Bund) took place in St. Paul's Church. Today the city on the Main is an international financial center and seat of the European Central Bank, the Bundesbank, the stock market and many other large banks. Frankfurt is the only German city with a skyline that forms a strange contrast to the medieval buildings surrounding the “Römer” – Frankfurt's town hall.